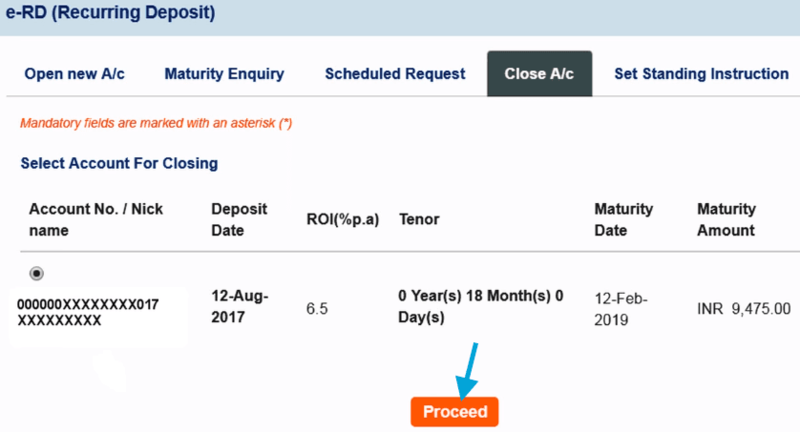 Do you have a Recurring Deposit Account with SBI? Do you want to close the account before maturity? You don’t need to visit the branch for requesting to close the account. You can do it online. You must know how to close SBI RD account online as you may require it at time of emergency! 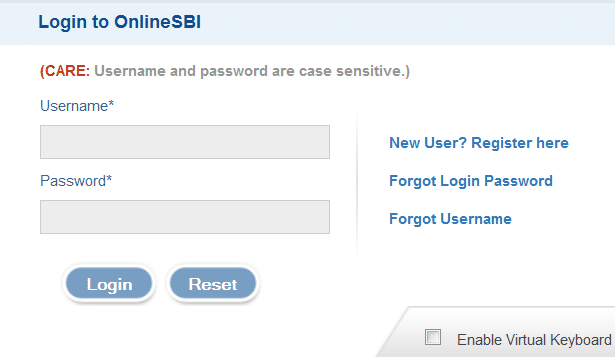 Step 1: Visit the official website of State Bank of India and login to your net banking account using the User ID and Password. Step 2: Move the mouse cursor to 'Fixed Deposit' tab featured on the homepage. Scroll down to 'e-RD (RD)/e-SBI Flexi Deposit' option and select it. Step 3: The next step is to select the type of RD account and click the 'Proceed' button to move ahead in the process. Step 4: You will get directed to a new page where you will get different options/services related to RD account. You have to select the Close A/C button. The next page will display the list of e-RD accounts linked with your savings account. 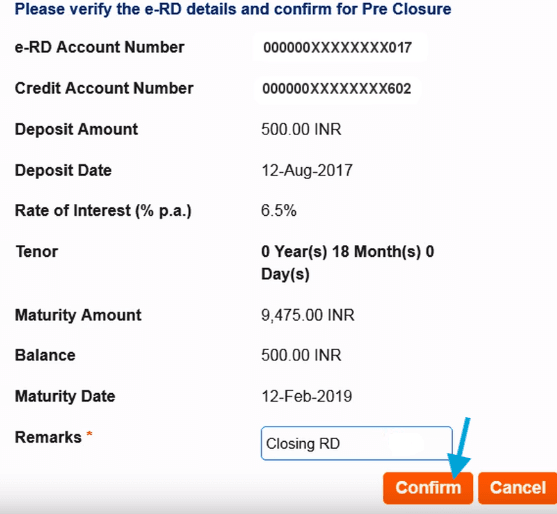 If you have multiple e-RD accounts select the account/s you want to close or if you have a single e-RD account it will get selected by default. The next step is to click on 'Proceed' button. Step 5: You will get directed to a new page displaying the details of the e-RD account. Verify the details and give the remarks. Click on 'Confirm' button to proceed ahead. Step 6: The next page will display 'Enter High-Security Password' where you need to enter the security password you received on your registered mobile number. After entering the security number click on the 'Confirm' button. The next screen will display the confirmation message stating the successful closing of the e-RD account. The e-RD amount will get credited into the debit account linked with it. You need not to visit the branch to close the SBI RD account. Online services and facilities bring all types of banking services to your fingertips. You can access the services and facilities easily. Make sure to go through the Terms & Conditions related to the services before accessing it. The bank may charge you an extra processing fee for accessing the services. Checking the extra charges related information you can proceed to access the services. It is quite easy and you can save your time with the online services.